Know someone who’s loved one is deployed? This “God Bless My Marine” handmade printed pillow would make the perfect gift for a military family. 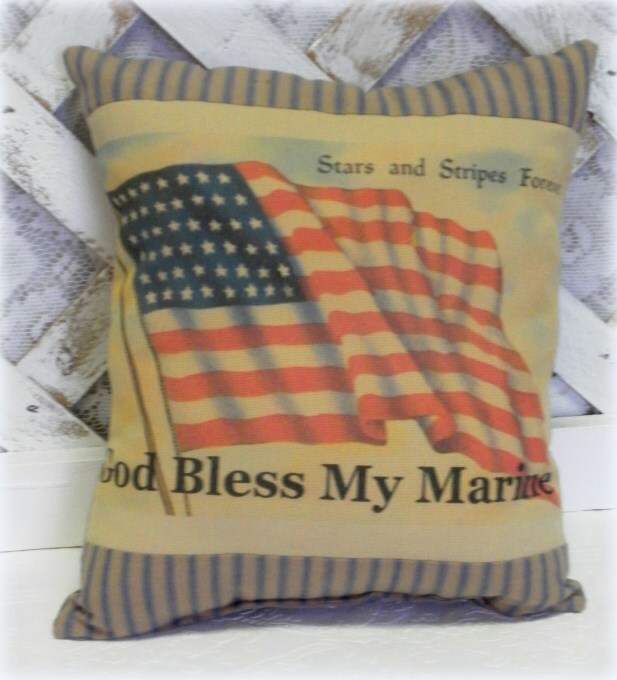 This cute country pillow measures 11″ X 10″, and features a tan and blue striped fabric, perfect for a country home. Cotton/Poly Blend. 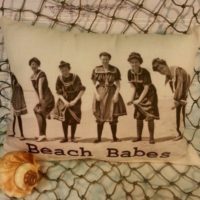 Each pillow is custom made to order. 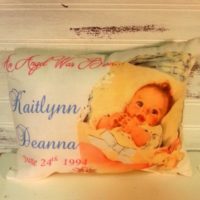 This vintage inspired personalized new baby gift pillow would make a beautiful gift for a newborn baby. 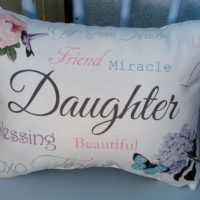 This sentimental handmade daughter gift pillow features beautiful flowers, a butterfly and sweet sentiments that describe how special a daughter is. 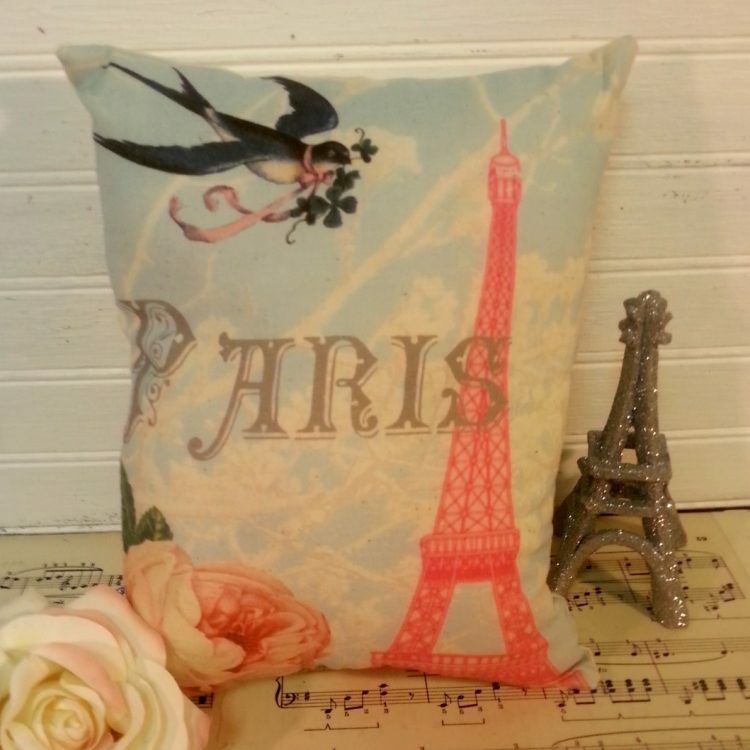 This sweet pillow would make a wonderful birthday gift, Christmas gift for a daughter that means the world to you.